Home » cash » Food n Beverage » lucky » purchase » sms » spend » QL Eggs Cash Bonanza Contest: RM100,000 Cash to be won! 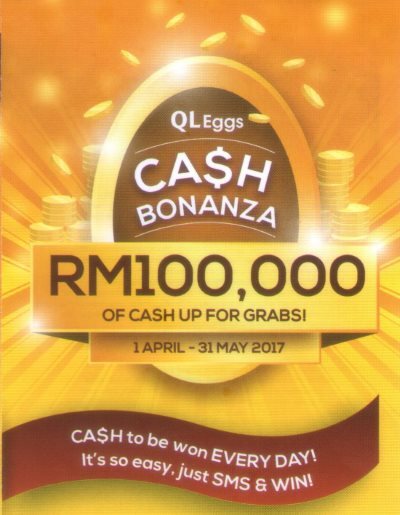 QL Eggs Cash Bonanza Contest: RM100,000 Cash to be won! Call 012-7753447 for more contest details.